MONO-A0071 features the active matching and amplification circuitry and a passive bypass mode when the antenna is powered down. Use MISC-A0022 15V coaxial power supply for the amplifier. The antenna’s radiation pattern is suitable for medium to long range HF monitoring. 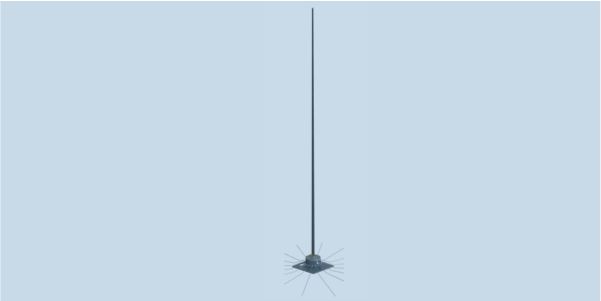 MONO-A0012 is the vehicle-mounted version of this antenna.